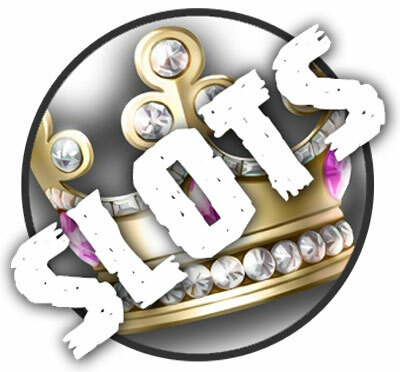 Slot Games & Slots 2019 - The number 1 casino game! There are many different version of slot games. You may think that they are all practically the same except for the fact that there are different colours and sounds and music and graphics in each game. But you’d be mistaken if you think like this. The fact of the matter is that the slots are variable in several important aspects. And one of them is called volatility. It goes like this, all slot machines operate on a line between two ends – low volatility and high volatility. The case is the same regardless if you’re playing slots in the real world casinos or in online casinos. So, what do the two terms mean, low volatility and high volatility? We’ll begin with low volatility. This means that the slot machines of this type will give out a lot more frequent payments, but the payments will be a lot smaller as well. If you’re the type of person that enjoy gambling but doesn’t wish to get overly stressed out, then we recommend you to opt out for the low volatility slots. This is because of the facts that here you won’t be likely to lose a lot of money. The flip side is that you will also not win a lot of money, so if you don’t like the very big highs and lows of gambling, then these slots will suit you much better. More or less, what’s the point? On the other end of the spectrum, there are the high volatility slots. They are exactly the opposite of their low volatility counterparts. If you find a high volatility slot game, then you should bear in mind that the chances of winning will be very low. You will be riding on losing streaks a lot more frequently than if you’re playing low volatility slots. But there’s a flip side to this also – and it’s the fact that if you happen to win, then you will win big money. And this is the difference between the two types of games. Now, if you happen to be the type of person that enjoys the highs and lows of gambling – by all means, knock yourself out at the high volatility slots. Just be sure to have a lot of money in your bankroll, because the losing streaks can really take the toll if you’re unlucky enough, and you may lose a lot of money in the process without actually winning anything. Regardless if you’re playing in online casinos or in real life casinos – the slot game creators themselves are not so eager to tell you whether a machine is of high volatility or low volatility. So, you will have to find it out for yourself – but the truth will become obvious to you if you garner a bit of experience at a particular slot game. The best thing to do is to play with play money if you’re gambling in online casinos. In this way, you can learn about the volatility of a certain game without actually paying for finding this information out.